Despite the rise in recent years of the IT and professional service industries, it’s the manufacturing industry that keeps the gears of the U.S. economy running smoothly. After all, manufacturing businesses build things that we use in our everyday lives — from cars and washing machines to furniture and tractors. And despite reports of some manufacturing work being outsourced to other countries where labor costs are lower, manufacturing companies remain the source of millions of U.S. jobs. But this isn’t to suggest that the U.S. manufacturing industry doesn’t face serious challenges. Manufacturing operations usually require large capital expenditures (or CAPEX) to build the cars we drive and the appliances we use. Financing these operations efficiently and cost-effectively is one of the most important responsibilities faced by the owners and managers of manufacturing businesses. In manufacturing businesses, there are usually relatively high labor and operational support costs. As a result, owners and managers must balance more components to ensure efficiency. In other words, manufacturers must deal with a more highly leveraged fixed cost component. Also, cash flow restrictions often lead manufacturers to seek outside financing, in which case the challenge is to obtain the right type of financing at the lowest possible cost to the business. With such large cash outlays required, manufacturing companies need to make sure that they can achieve real payback or return on their financial investment in operations. Given the nature of these investments, though, manufacturers sometimes move too slowly. The result of such delays can be permanent loss of revenue and market share. § Poor CAPEX investments can potentially cripple a manufacturer —look no further than the effect that Westinghouse has had on Toshiba. § Determining the payback on CAPEX investments can be tricky, sometimes involving market size estimates that may or may not be accurate. § A lack of capacity can result in substantial loss of market share when manufacturers don’t seize on opportunities quickly. One way to meet the unique challenges faced by manufacturing businesses is bring in a CFO services professional. An on-demand CFO will have worked with many other manufacturing companies like yours, so he or she will be able to develop the best financial models in orders to accurately forecast the cash flow generation of any potential capital expenditure. A CFO services partner will also have experience dealing with highly capitalized business environments and understand the dynamics of such environments. 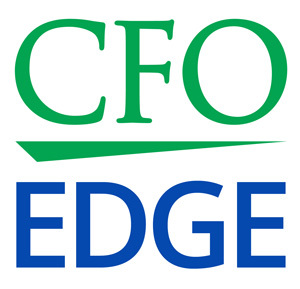 In addition, a professional CFO will be able to work with your CAPEX vendors to make sure your company gets the lowest cost of capital and the best financing terms possible. If external financing is required, he or she will be able to work with finance providers to provide the lowest cost financing along with the most advantageous terms for your company. § Your capital expenditures will be well-analyzed and add positively to your manufacturing company’s cash flow. § You’ll achieve the lowest financing cost, best financing terms and access to the best possible financing alternatives. § You’ll enjoy the optimal mix of labor and capital, thus maximizing gross profit and operating income. § Your payback time will be shortened and return on investment enhanced due to careful timing of capital expenditures. The manufacturing industry keeps the gears of the U.S. economy running smoothly, but that doesn’t mean it doesn’t face challenges. Manufacturing operations require large amounts of capital expenditures to build the cars we drive and the appliances we use. Financing these operations efficiently and cost-effectively is one of the most important responsibilities faced by owners of manufacturing firms. An on-demand CFO partner can help you meet the unique challenges you face as the owner of a manufacturing business.